January 6, 2016–Pensacola, FLa.—If your mood is as cold and gloomy as the scene outside your window right now, don’t worry. Here are five reasons to escape the winter woes and head south to Northwest Florida to “Defrost” in the Pensacola Bay Area, where pristine seashore spans miles of powdery, quartz-sand beaches and turquoise water, all-year long. 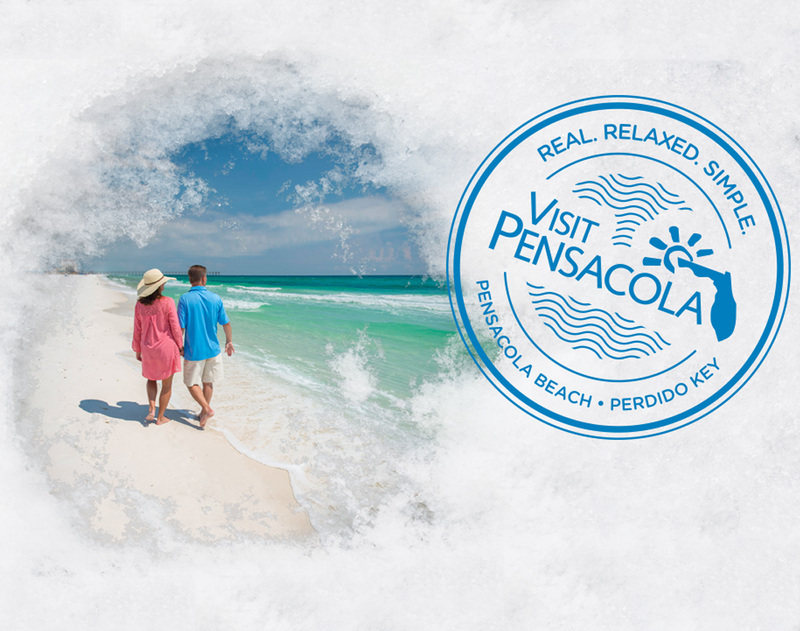 Unbeatable rates this time of year – The Pensacola Bay Area offers the perfect winter backdrop for outdoor activities and relaxation, with average highs in the low- to mid- 60s in January and February and a warmer 70 degrees in March. Winter visitors often take to the gulf for kayaking, paddleboarding and surfing. It’s also a great time of year to book a Gulf charter for deep-sea fishing, have a relaxing afternoon casting from shore, or get face-to-face with some of the area’s most popular beach residents on a dolphin tour or a migratory-bird-watching hike. Visitors can stay in a cozy beach cottage, a luxury condo or a hip downtown hotel within walking distance of great shopping and dining options. Winter is among the best times to book a stay in the Pensacola Bay Area, with wide-open beaches and the best rates of the year. It’s Mardi Gras Time – Laissez Les Bon Temps Rouler, Y’all! Grab your beads and pass the King Cake because Pensacola doesn’t take Mardi Gras lightly. As one of the country’s oldest Carnival celebrations, some cities observe Mardi Gras for just one day, but not Pensacola. A month-long celebration kicks off in January to start the raucous romp that still somehow manages to be family appropriate. Pensacola’s parades are packed into a single weekend, Feb. 5-7. Visitors can watch the spectacle of Pensacola’s nighttime illuminated parade, the Krewe of Lafitte Parade, on Friday, Feb. 5, starting at 8 p.m. The Grand Mardi Gras Parade is the biggest, best-known event of the season, often attracting upward of 75,000 people. This year’s parade takes place at 2 p.m. on Saturday, Feb. 6 and includes more than 6,000 participants and more than 240 floats, ranging from ‘60s go-go dancers to Greek goddesses, parrotheads and pirates. Parades wrap up on Sunday, Feb. 7, when locals let the good times roll, “island style,” along the sugar-white sand of Pensacola Beach. The Krewe of Wrecks Parade starts at 1 p.m. — just steps from the shoreline, on Via De Luna. The Mardi Gras season comes to an end on Fat Tuesday, with the Priscus Procession. Priscus is a nighttime pub crawl through Downtown Pensacola with krewe kings and queens, krewe members and anyone else (21 and over) who wants to participate and experience the unique Mardi Gras pageantry in Pensacola. Gulf Islands National Seashore – winner of Florida’s Best Beach in a 2015 USA TODAY 10Best Readers’ Choice poll – Gulf Islands National Seashore is a string of undeveloped barrier islands with snow-white beaches, made up of 99.4 percent quartz crystal. Its breathtaking beauty, historic charm and well-preserved natural environment are just a few reasons why this national park also ranked No. 2 this year in USA TODAY’s 10Best Naturally Preserved Shorelines in the country. The Seashore provides endless opportunity for solitude and relaxation, offering miles of unobstructed views and access to the Gulf. A short hike, bike ride, or kayak trip always ensures a swath of pristine beach, sans humans. An abundant ecosystem of marine and terrestrial wildlife populates the Seashore. Osprey and great blue herons are often nearby or overhead, their huge nests visible in the treetops. Dolphins, sea turtles and rays are commonly spotted swimming near the shore in the crystal-clear waters. And for much of the year, the Seashore provides an ample nesting ground for various seasonal shorebirds, like the beautiful black skimmers and tiny least terns. National Naval Aviation Museum – Spend a full day tracing naval aviation through the decades at the Naval Aviation Museum — one of TripAdvisor’s “Top 25 Museums in the U.S.” Located aboard the nation’s first permanent naval air station, Naval Air Station Pensacola is currently the world’s largest training facility for Naval, Marine and Coast Guard aviators. The Naval Aviation Museum features nearly 350,000 square feet of displays and boasts more than 150 restored military aircraft representing Navy, Marine Corps and Coast Guard aviation. Ever want to know what it’s like to be a Blue Angel? A motion-based simulator ride moves in six directions to simulate horizontal rolls, longitudinal pitches and vertical climbs. In Hangar Bay One, visitors can take the Blue Angel dream even farther, with the X4D® Experience, which uses 3D technologies and interactive seats to make it feel like you are flying with the Blues. Pensacola also is home to the Blue Angels flight demonstration team. Visitors can watch the team practice most Tuesdays and Wednesdays from March through November. Wednesday practices are usually followed by question-and-answer and autograph sessions at the museum. Historic sites and a charming downtown—It’s not just the beautiful beaches you’ll find in Pensacola and Perdido Key but also 450 years of history. So, if you’re looking to explore like those who did so many years before us, the opportunities are endless. See what pre-20th Century life was like when you experience living history in Historic Pensacola Village. Say hello to Gen. Andrew Jackson, who sits high above the fountain in downtown Pensacola’s Plaza Ferdinand, where in 1821 he raised the American flag in Pensacola for the first time and accepted the transfer of Florida from Spain to the U.S. The plaza and park border Palafox Street and Pensacola’s downtown, which blends history with modern times and is filled with award-winning restaurants, shops and beautiful scenery along Pensacola’s bayfront. History buffs won’t want to miss Pensacola’s historic forts: Fort Pickens, Fort McRee and Fort Barrancas, all of which protected the harbor. The Advanced Redoubt was constructed to defend the Pensacola Navy Yard and Fort Barrancas from land attack. Fort Pickens, located on the western tip of Pensacola Beach, is the largest of the historic forts in the Pensacola Bay Area. Built between 1829 and 1834, it was occupied by Union forces during the Civil War and is one of only four Southern forts that didn’t fall into Confederate hands. The Battle of Santa Rosa Island took place within sight of its walls. And, between 1886 and 1888, Apache chief Geronimo and members of his tribe were imprisoned there. Abandoned as a military post following World War II, Fort Pickens was reopened by the National Park Service in 1976. Just across Pensacola Bay, Fort Barrancas and the Water Battery perch on a high bluff at Naval Air Station Pensacola. Almost 150 years ago, Confederate troops occupying the fort exchanged fire with Union troops occupying Fort Pickens across the bay. Today, park rangers lead tours that are full of legends and lore, including tales of the spirits of Confederate soldiers who died in battle here. For special winter deals, go to http://www.escapetopensacola.com/defrost/. For information on upcoming events in the Pensacola Bay Area, visit http://www.visitpensacola.com or call 1-800-328-0107.